This page is dedicated to the sincere words readers have left while on FrenchCrazy.com. If you would like to share your opinion then feel free to email me, comment on another article, or comment below. > John, having spent some more time looking around this site, there is so much great stuff here, so thank you! > Love the website, thanks. > Great explanations!!! Cleared up 40 years of mystery. > Pas mal pour un petit aperçu des beautés de notre langue. Congratulations and keep going! > Anyway, I like your blog, I use it to improve my french. I have a dream to learn master in France, so I need to learn quick! Je vous remercie!! > John, Congratulations on your site, which is very comprehensive and fun. I am a French national, teaching French to British people. I came across your site whilst looking for help in comparing pronunciation between the two languages, as this is the greatest difficulty that I encounter with English speaking people. > This website is gr8- thank u sooo much. This is exactly what I needed. > Hé, il est pas mal votre site web! Bon, pour être franc, je suis français, alors parmi les choses que vous publiez, beaucoup de choses me semblent évidentes. Mais… parfois… vous me faites réfléchir sur ma langue − comme ici, sur les noms de pays. Je serais bien en peine d’expliquer ça mieux. > I appreciate this article very much. I have been studying French for two years and now from reading this, I feel confident enough to speak with native French speakers. > There are too many complicated ones here. I’m 9 years old and my teacher is teaching me this! But this website is the best. It is advancing me to a higher level. My teacher and me and my friends are do proud of this website and we are spreading the word about it. Thanx Freanch Crazy!!! Ur the best! > Excellent ton site ! > Fantastically written; clear and concise with interesting and a good selection of examples. Wonderful work. > Great post. I know and use many of these but there are several new ones that I will start to sprinkle into my conversation. Trop stylé!! J’adore la France. > Merci. Very helpful words. As someone who is not yet fluent (even though I somehow managed to earn a B.A. in French years ago,) I seldom get to speak with anyone with whom I’d feel comfortable enough using these expressions. In fact, on the language exchange site where I write to pen-pals, I’ve been reprimanded for using ‘tu’ numerous times. The problem is that so many contemporary French learning texts insist on teaching informal French. So much so that I forget the formal usage. I assume those books assume that one is practicing with young fellow students who would not use vous. Anyway, enjoyed your post. > I love your website -in particular this section on “being curious.” Very clever and so true! This is some of the best advice I’ve seen and I will certainly pass it along. > This website you’ve created has been very helpful to me, I really appreciate it. Cheers! > Merci beaucoup pour cette liste! Je suis en train d’apprendre la langue, et il est difficile de trouver des videos par YouTube! > It’s a cool song!! Thank you for sharing such useful learning materials. I absolutely love this website. > Bonjour ! Thank you for your kind words about my former site. I hope to build my new one into something even more impressive. Merci beaucoup et bonne continuation ! Laura K. Lawless, Lawless French, http://www.lawlessfrench.com. > Thank you, this was very helpful. 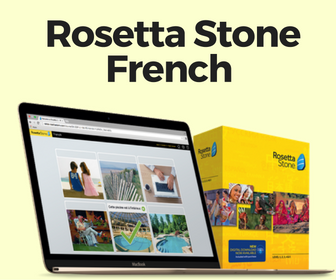 I am looking to purchase a French program and I have doubts about Rosetta Stone, because I don’t think that it would be a good learning tool for the money. > Thank you for this amazing article, it was of great help! Anyway I want to study Law in french, so I’m taking a gap year to learn the language first. Do you think I can do it? > This is just what I’ve been looking for! Thank you! > What is the best way to learn French? I hope to spent two or three months in Paris next year and I speak very little French. P.S. I really think you site is great! > Thanks for the article! Exactly everything that is relevant and I needed. I’m arrived in France just this week and now, finally, Je suis pret a commander! > “Cœur De Pirate” just become my new favorite artist. Thanks for sharing! > Ce poeme est vraiment superbe! Et je trouve ce blog très intéressant :). Merci! > It’s nice to finally know what that song means. > Your article is quite helpful to me. I have bought a laptop as well as french keyboard. I really like to write french language but i didn’t knew that how to type. Now i have got some tactic tips from you. Thanks for sharing your experience with us. > Nice post and enjoyed reading it and the comments and believe it gives a good idea of the task ahead… Thanks in advance and enjoy your blog. > Thanks. 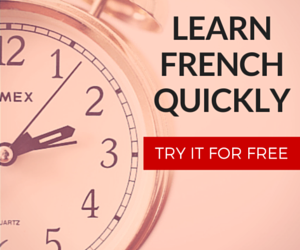 I’m currently trying to choose a French course. This was very helpful. > John, Moi aussi, j’aime beaucoup le francais! A great and very intelligent site with great detail and very well planned. > A very cute list, and very helpful too. Thanks! > This looks like the format of my French 1 and 2 class. Merci beaucoup! > Hey! Just came across your article and found it really interesting to read. > Thanks for your great information, the contents are quiet interesting.I will be waiting for your next post. > Very clear! Thanks for the article. > I’m so glad I just found your blog! A lot of useful stuff! Are you on twitter? I’d love to follow you there since that is mostly how I keep up with French Blogs. I’m @LuvNThanks. > Nice article. I am currently at B1 and I’ve been looking at some novels with very basic French. It appears that I can get by young adult novels, and the types of Le Petit Prince. I definitely couldn’t get by with your Madame Bovary extract. > Your post is informative. It is great work. French language is romance language. I have learn many things from here.Thanks for sharing this nice post. > Thank you! Love your site too. Merci. > John, I shouldn’t have to tell you how awesome and useful this website is! I’m a senior in high school, and as you well know, classroom instruction doesn’t necessarily inspire further education outside the one hour a day I have French. Between this website, watching movies and BFMTV with French audio, listening to Stromae and Coeur de Pirate waaayyyy too much (thanks to your music reviews) :D, I find myself taking great steps towards furthering my French skills. My humble response : I love you guys too. Thanks for stopping by!! If you would like to stay up to date, Follow FrenchCrazy on Facebook or sign up for our mailing list on the sidebar.